Darlene Marie Cooks, 66, died as the result of a heart attack on the morning of January 23, 2019. She was born in Lakeview, Oregon, the first of three daughters to Blanche M. (Kadrmas) and Gilbert E. Pirkl. At the age of 6, her family moved to Albany. She moved to Athens, Greece at the age of 17, then to Izmir, Turkey, Washington D.C., Sacramento, California and back to Albany in 1979 with her first husband, Robert Bush. She married Thomas (Tom) R. Cooks in June of 1991 at Lake Tahoe, Nevada. 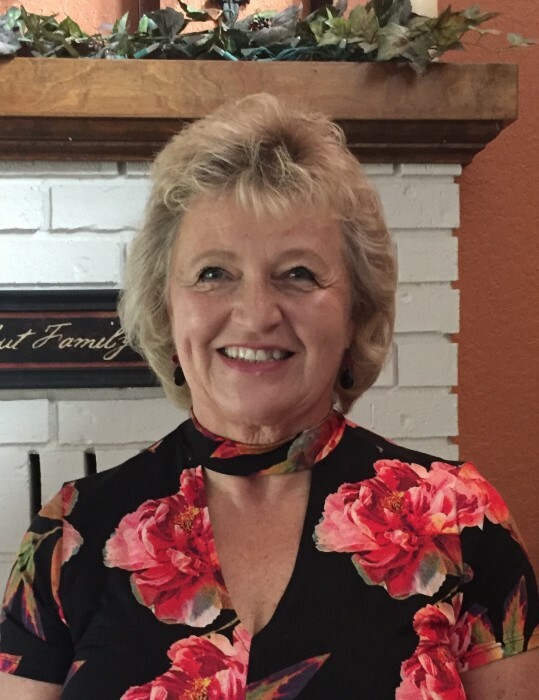 She started a banking career in 1979 with Willamette Savings and Loan and continued with US Bank for 18 years and retired in 2017 from Citizens Bank after 19 years. Darlene also joined the Board of Directors of Chamberlin House in 2012 and served as the Board Chair from 2015 until her passing. Chamberlin House serves the need of developmentally disabled adults and was a very big part of Darlene's life. She enjoyed life to the fullest, always including her sons and their families in all events. If Darlene wasn't spending time with her family, you could always find her in the flower beds maintaining and planting new additions or making memory books in her craft room. Darlene brightened up any room she walked into with her beautiful personality and smile. She will be greatly missed by all that knew her. Survivors include her husband, Tom; son, Shawn L. Bush (wife Jodie) of Dallas, Oregon, son, Shannon E. Bush (wife Jill) of Albany; sister, Arletta L. Church (husband Dale) of Myrtle Creek, Oregon, sister, Mardell. N. Perkins of Albany; and eight grandchildren, Hannah, Kymberlin, Cody, Ashley, Kambria, Mikaela, Mia, and Devin and one great-grandson, Brysen; nephew, Travis Perkins (wife Macy) and niece, Jessica Day (husband Brady). She was preceded in death by her mother, Blanche M. Pirkl, and father, Gilbert E. Pirkl. In lieu of flowers, donations may be made in her name to Bill and Joyce Mitchell Fund, c/o Chamberlin House, Inc., 421 NE Water Ave, Ste 3100, Albany, Oregon 97321. A celebration of life service potluck gathering is tentatively being planned for the latter part of June 2019 after the return of Darlene's granddaughter, Kymberlin, who is studying abroad in Ireland. Details will be provided at a later date. AAsum-Dufour Funeral Home in Albany is handling the arrangements (www.aasum-dufour.com).